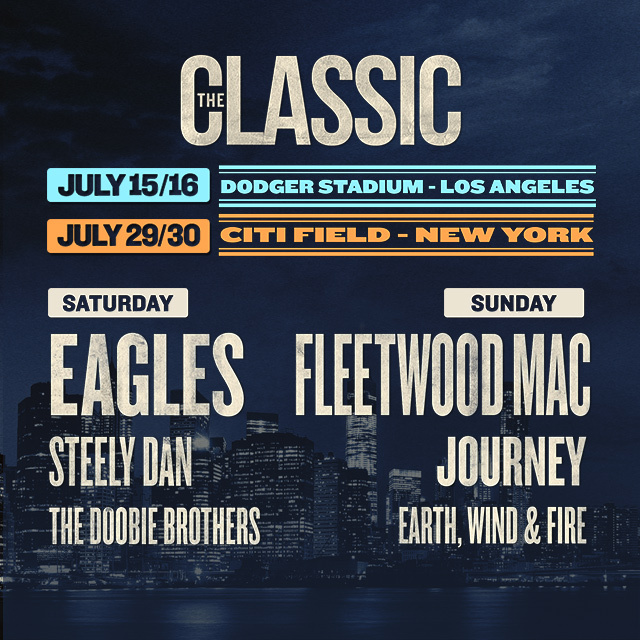 The Classic – Eagles, Fleetwood Mac, Steely Dan, Journey, Earth, Wind & Fire and The Doobie Brothers live in concert. 1 ticket, 2 nights, 6 legendary bands. Tickets on sale Friday, April 7 at 10am. Learn more at TheClassic.com! Take the whole brunch to Amsterdam! Please. Awesome! Let me know when.